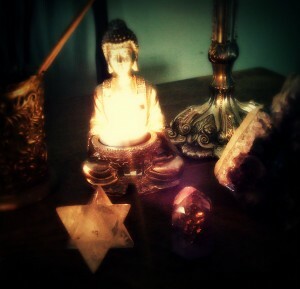 You have a growing collection of crystals … but perhaps you don’t know much about working with them in healing yet? Or you’d like to learn more about crystals using my collection before you start collecting? 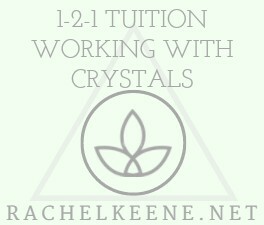 1-2-1 tuition in working with crystals will give you all the knowledge you need to choose, bond and work with the powerful energy of crystals and their healing amplification and magical properties. This is the perfect opportunity for you to learn all about them, what they are called, how and why they ended up with you! There is always a reason why a particular crystal comes to us. Bring along your crystals and work with me one to one here in Hertford Heath in this 2 hour workshop to discover what your crystals do, and how to work with crystals, their energies and properties. Each crystal is unique and the vibrational energy is yours to tap into and work with. Don’t worry if your collection is too large to bring along, bring a selection – the aim of the session is to teach you the basics in how to work with any crystal. I will teach you how to connect with the energy of each crystal you have, how to cleanse, programme and dedicate your crystals to your personal energy. I am happy to accept small groups up to 4 if you and your friends wish to learn together. I am also happy to teach using my own collection of crystals if you don’t have any yet. We can also work via video connection on Skype anywhere in the world!